Imagery in sound for solo contemporary fingerstyle acoustic guitar. Multiple tunings, extended techniques, harmonic richness, fluid compositional style, and technical skill, combine to bring out the natural expressive resonance of the steel string acoustic guitar. From flowing, deep, liquid echoes to passages of precise blistering speed, this is instrumental music that leaves the listener open to form their own images to these varied textures and sounds. 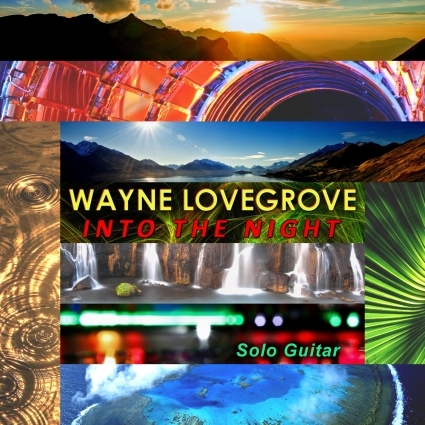 "...master guitarist Wayne Lovegrove is on the cutting edge..."
"Doesn't that sound like about three guitars? No! It's one guy! One guitar!"